Create more space and clear the clutter of your garage with overhead garage storage racks! Move items out of sight and out of the way giving your garage a clean organized look! Many different styles to choose from! You won’t believe the amount of room you will create utilizing unused space by safely storing items above your garage door. 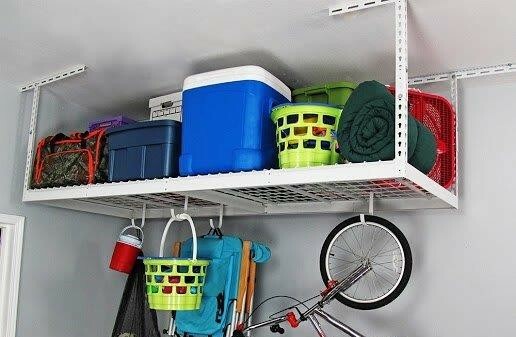 Give your garage a cleaner, organized look with more floor space by storing your things overhead. Add security and safety to your garage by keeping belongings out of sight of prying eyes and out of reach of kids and pets.